 Dr. Lanchoney and his expert team of licensed aestheticians and certified technologists address your needs by using the latest medical and non-invasive cosmetic technology procedures, treatments and products. Your individual treatment plan, that is specially custom developed for you by Suite 200 Med Spa, may include one, or a combination, of the following cosmetic technologies and products. LASERS Emit a single, precise wavelength of focused light and heat to treat various tissues within the skin layers and body for fat reduction, skin resurfacing, wrinkle reduction, and removing a wide range of skin blemishes, e.g., sun spots, brown spots, birthmarks, unwanted tattoos, etc. INTENSE PULSED LIGHT (IPL) A non-laser procedure, whereby intense pulsed light emits multiple wavelengths of light to treat skin abnormalities, e.g., elimination of sun spots; the reduction of wrinkles, ne lines and large pores; and much more. RADIO FREQUENCY Differs from lasers and intense pulsed light in that it uses electric currents rather than a single or multiple light and heat source to treat various tissues within the skin layers and body for fat reduction, skin resurfacing, wrinkle reduction and removing a wide range of skin blemishes. BOTOX INJECTIONS BOTOX is the trade name for an injectable substance that is widely used in cosmetic treatments to prevent wrinkles and ne lines from developing or increasing. INJECTABLE DERMAL FILLERS These injectable llers are extensively used in facial cosmetic treatments to remove ne lines, wrinkles and lip lines and plump thin lips. MICRODERMABRASION Devices or machines that buff and polish the skin using a ow of ne crystals to exfoliate and remove the super cial skin layer. old skin, the new skin exhibits fewer blemishes, and is much smoother and less wrinkled. SKINCARE PRODUCTS A comprehensive range of cosmetic products are used for preventing and treating a host of unwanted skin conditions. These products include: cleansers, exfoliators, peels, scrubs, eye creams, moisturizers, night creams, serums, sunscreens and self-tanners to name a few.